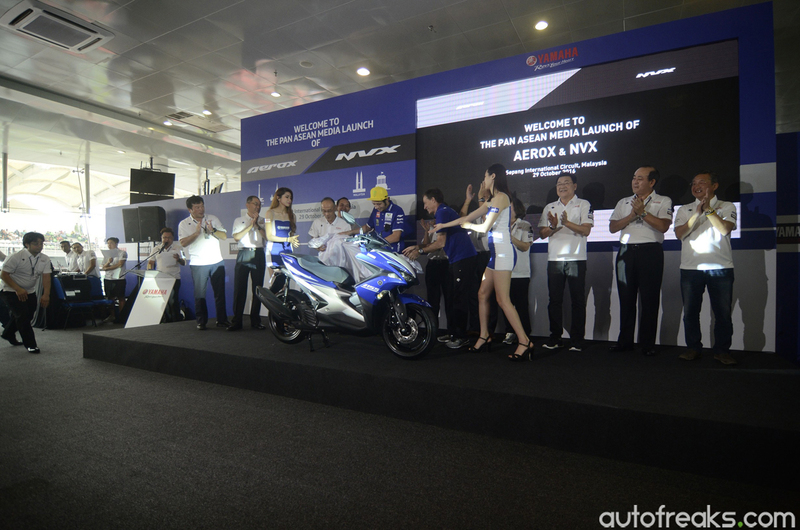 In commemoration with the Malaysian MotoGP that took place in Sepang last weekend, Yamaha Motors (Japan) grabbed the opportunity to launch a brand new scooter, called NVX 155. 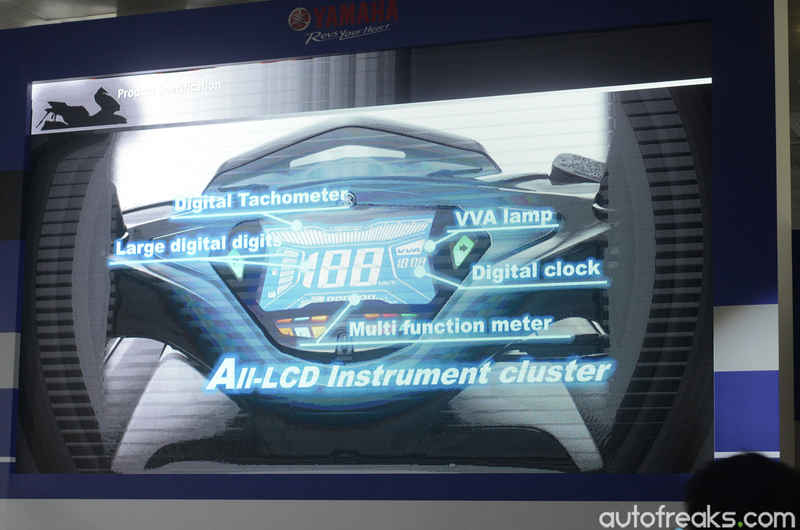 The unveiling was done by veteran MotoGP rider Valentino Rossi himself. The new scooter comes with the same engine as its older brother “NMAX”, Blue-Core 155c fuel-injected SOHC , with VVA (variable valve actuation) technology and is also said to be equipped with an additional start/stop motor which kills the engine during idle to be more fuel efficient, and it is also 11 kilograms lighter than the older brother “NMAX”. This scooter is styled with a more aggressive approach, sharper lines. The wheels are also bigger with 14 inches in the front and rear, 110 mm for the front and 140 mm width for the rear wheel. 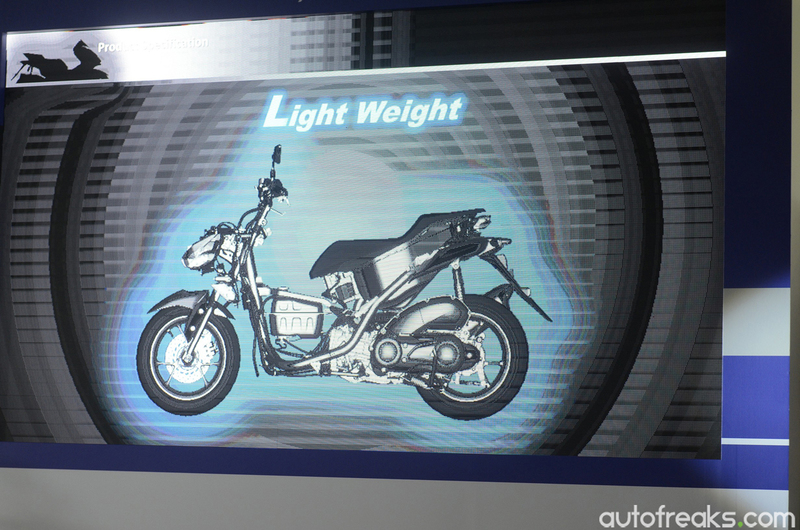 During the launch, we noticed during the image where Indonesia and Thailand were said to have this scooter launched at the end of 2016, and Vietnam in early 2017, however there was no mention of its debut date in Malaysia . For the display, the NVX comes with a full LCD display that has a tachometer, speedometer, VVA indicator, odometer and many more. To add-on, the scooter’s more premium variant comes with a smart key – kind of like ‘keyless entry’ for cars. Prices and specifications for each countries were not announced, mainly due to taxes or the countries’ road transport authorities’ regulations. 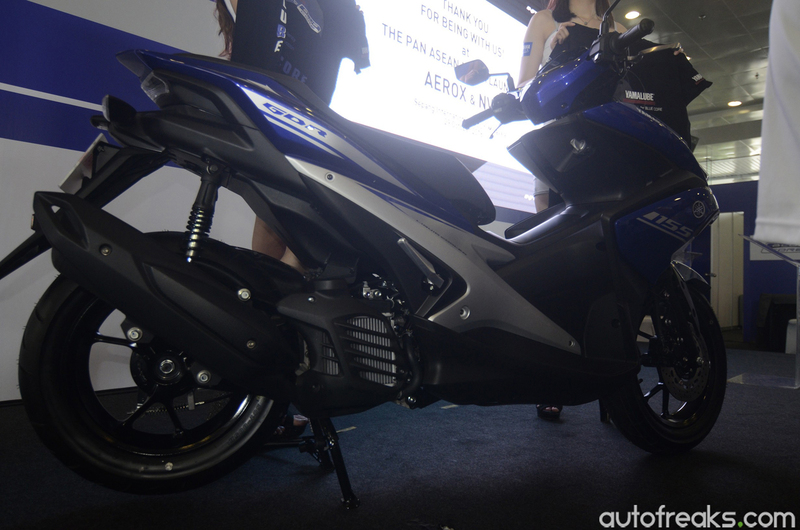 The NMAX on the other hand, is priced at RM 8,812.00 without road tax and insurance. Volkswagen Malaysia Celebrates 10th Year Anniversary with Amazing Savings! BIKES: All-New Yamaha NVX155 Makes Its Official Debut!